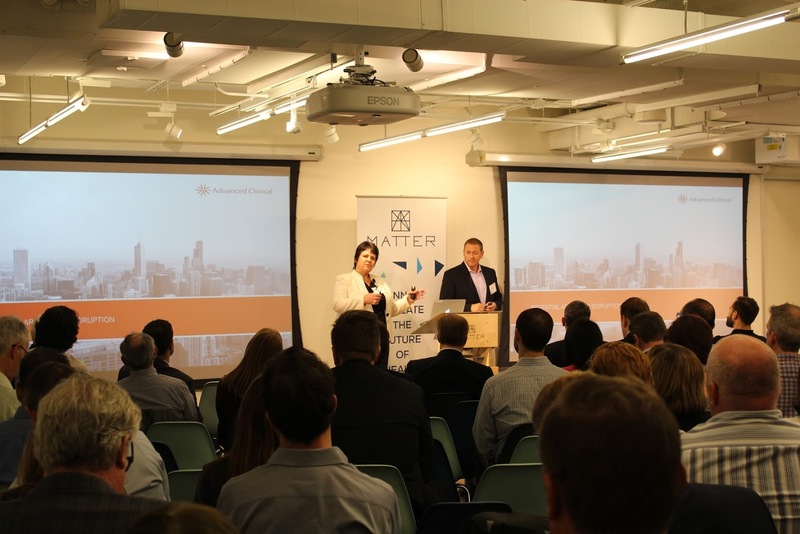 On May 3, MATTER, the University of Illinois at Chicago, SAP and Advanced Clinical hosted Chicago’s first Blockchain in Healthcare Summit. This sold-out event brought together experts from industry and academia to discuss the potential of blockchain technology to improve clinical outcomes, map the patient journey, advance public health goals and more. During the summit, MATTER caught up with several subject experts to ask: What is the most promising application of blockchain in healthcare? Julie Ross, president, Advanced Clinical: From a clinical research perspective, the most promising application of blockchain as it is applied to clinical development will be solutions for improving data integrity, real-time data access, and transparency in drug and device development. In addition, as clinical researchers are increasingly relying on remote technology for patient data collection, blockchain will strengthen patient identity management in a way that is not possible using today’s existing technology. Steve Betts, senior vice president and chief information officer, Health Care Service Corporation: When you look at the most compelling use case in healthcare from a payer perspective, it has to fit a few criteria. So, this is not just a technical conversation, this is about where can you find willing partners solving a problem that is non-competitive in nature and that’s going to make you reduce the friction as part of the system. When we look at that right now, the other element is focusing on non-sensitive data. When I look at all those factors I think provider data quality and shifting into provider credentialing is the most fertile space right now. Monique Diaz, M.D., clinical informatics fellow, UIC College of Medicine: I think the most promising use of blockchain in healthcare technology is equipment tracking. As a physician in rehabilitation medicine, I spend a lot of time training patients with different adaptive equipment. When we discharge them to go home we’re not always assured that the equipment is there waiting for them, which puts them in a position if they arrive home without it they might fall. So, there’s a safety risk there, but also patients might not have the tools they need to reintegrate into the community, to access their primary care physicians office or really just get out there and feel like they’ve overcome whatever challenge it was that brought them into the hospital. Dave Fowler, senior marketing director, SAP: There are three different primary use cases for blockchain in the healthcare industry. The first one is around credentials management or, more specifically, understanding who you are working with and whether they really do have the credentials that you think they do. Number two is around healthcare records and the ability to share healthcare information without having to take an envelope from your doctor’s office to the hospital. And then number three is really around the authenticity of the pharmaceuticals that you are taking. You’ll be able to see if they did, in fact, originate from the manufacturer and are not counterfeit pharmaceuticals. Aaron Symanski, chief technology officer, Change Healthcare: The most beneficial applications will work with to the highest value assets, such as the patient information, claims and actual payments. In our complex healthcare system, having our providers, payors and patients able to access this information, understand its current state and interact will be of great value. MATTER is a community of healthcare innovators, an incubator of ideas, and a catalyst for change. We are boots-on-the-ground entrepreneurs pushing against the status quo and established institutions dedicated to improving patients’ lives. At MATTER we are hungry for change, and we’re working together to solve real and complex healthcare problems. Visit http://matter.health.